A fantastic transatlantic double-bill for 2018! The Ennis Sisters have weathered a lifetime of phases, and a series of musical explorations together. 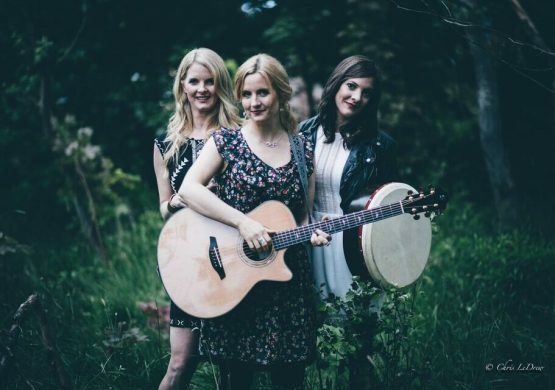 Their latest album, Stages, is a return to their roots – singing contemporary folk songs with a traditional Irish Newfoundland twist. Dave Gunning’s recording career is now approaching a full two decades in length (his debut album, Lost Tracks, came out in 1996). Along with richly-deserved peer respect, he has also earned a shelf full of music industry awards. That tally now stands at eight East Coast Music Awards and two Canadian Folk Music Awards, plus a 2012 Juno Award nomination in the Roots & Traditional Solo Album of the Year category for his album …a tribute to John Allan Cameron, a compelling homage to another of Dave’s Maritime musical heroes.